Peanut butter and chocolate brownies. There’s no shortage or recipes for this wonderful combination, but they mostly seem to add the peanut butter to an existing brownie recipe rather than make use of it as a key structural ingredient. So I made my own and I’m very pleased with how they turned out so I thought you might like to try them too. 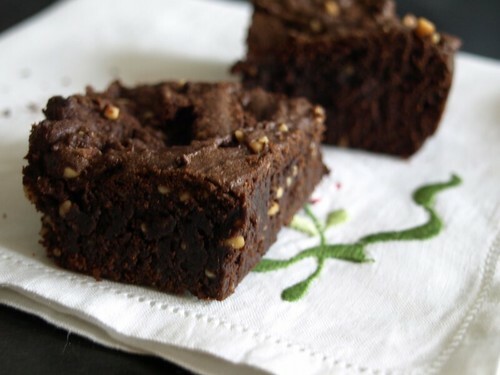 Without butter, although there is a little sunflower oil, and significantly less sugar, none of it refined, than a typical brownie they may not be low on calories but at least those calories aren’t all nutritionally useless. Mainly though they’re delicious without leaving me headachy from the rich, sweet overload. Measurements in grams, because I got a new electronic scale for weighing packages and I was having fun measuring things oh so precisely. More on why I need such a scale soon. Pre-heat the oven to 160 degrees c, I have a fan oven, so you might want to adjust upward for a normal one. Line a dish with baking parchment and spoon in the mixture. You could use one about 20 cm square. 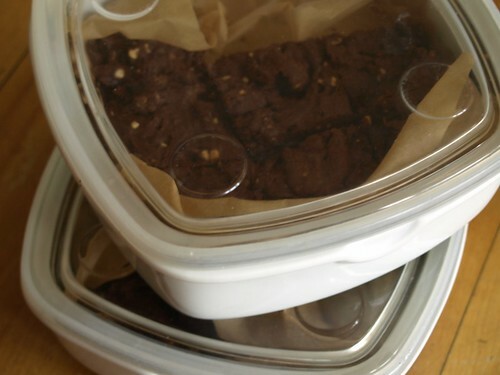 I baked them in 2 of these Ikea food storage boxes, which nicely meant no messy transferring into other storage containers when they were done. Bake for about 30 minutes, until they don’t seem quite done yet. Cut into squares once they’ve firmed up a little. I just let them cool in the boxes before sealing them up. Simple. 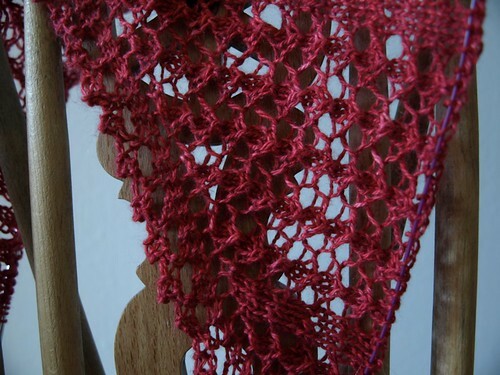 Here’s the lace I started when I got back from Monday’s beach trip. It’s growing so fast, even though I swear I’ve managed to tear myself away from it to get some other stuff done. 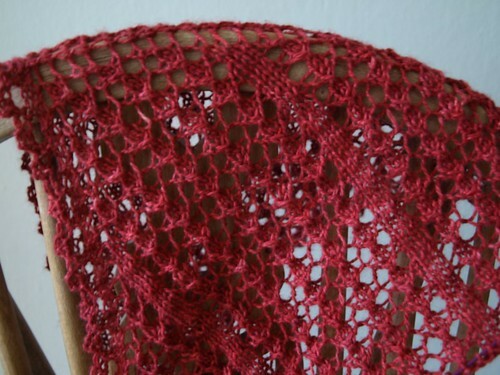 It’s a very grey day, so these don’t do justice to the richness of the colour at all, but the yarn is Old Maiden Aunt’s cashmere / silk 2 ply in Cherry and it’s beautiful.